Which Ward Is Whyte Ridge In? Many of you know I’ve been struggling to keep up with e-mails and phone call responses to all constituents since being elected in 2014 because of the rapid population growth in South Winnipeg – St Norbert Ward. You will also recall that a ward boundary review was conducted and ward boundaries were changed and will come into effect for the 2018 City election. The South Winnipeg St Norbert ward will divided into two new wards (Waverley West and St. Norbert) to enable much better representation for citizens and basic electoral fairness. 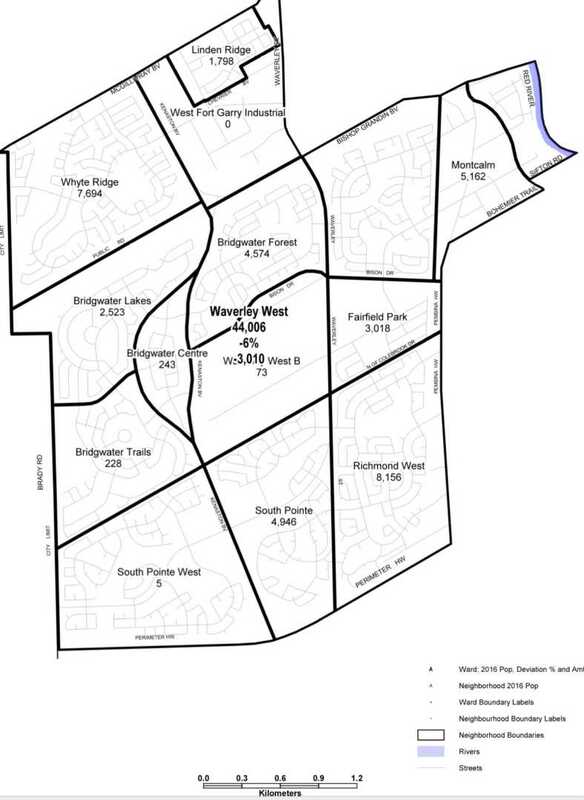 Nick Barnes, long time resident of Whyte Ridge has written an interesting article on the ward boundary changes and how Whyte Ridge and Linden Ridge communities will become part of the Waverley West ward. It’s an interesting read! Thank you to the Canstar for covering this. I recently met with city councillor Janice Lukes (South Winnipeg-St. Norbert Ward) to discuss how the upcoming civic ward boundary changes will affect Whyte Ridge. I’ve known Janice for many years, since she was the Winnipeg Trails Association co-ordinator helping me with the interpretive trail at the community centre. She walked me through the recent ward boundary review process and confirmed that Whyte Ridge will be part of a new ward called Waverley West in this October’s civic election. A draft report released on Oct. 18 by the city’s Ward Boundaries Commission has recommended the creation of a new ward in Waverley West and the significant realignment of wards across the city. The change is based on the fact Winnipeg has experienced significant growth and changes in the distribution of its population over the past 10 years or so, particularly in the southwest area. This was verified when the detailed analysis of the Statistics Canada’s 2016 Census of Population data was released last year. There’s actually some interesting data about Whyte Ridge now available. From 2006 to 2016 the Whyte Ridge population increased from 7,565 to 7,794. As single-family residences were fully developed in Whyte Ridge by about 2007, the increase may be due to the condominium complex built in 2014. The census data clearly shows major differences and growth trends in ward populations. Winnipeg’s largest current ward was South Winnipeg-St. Norbert, with 68,112 citizens, more than double the size of the St. Charles Ward, with 32,171 citizens. Key changes that will be implemented include eliminating the St. Charles Ward and combining the area with the St. James ward, and splitting St. Norbert-South Winnipeg Ward into two wards: St. Norbert–Seine River and the Waverley West. In addition to Whyte Ridge (from the previous Charleswood-Tuxedo-Whyte Ridge Ward), the new Waverley West ward will include Linden Ridge and West Fort Garry Industrial (from the River Heights-Fort Garry Ward); and Agassiz, Bridgewater Centre, Bridgewater Forest, Bridgewater Lakes, Bridgewater Trails, Fairfield Park, Montcalm, Richmond West, South Pointe, South Pointe West, Waverley Heights, and Waverley West B (from the previous South Winnipeg-St. Norbert Ward). Coun. Lukes will be running in Waverley West in the upcoming election, and she’ll likely be knocking on doors gathering feedback from residents on issues and concerns in the coming months.